 If you want to know more about the Estia, the best thing you can do is to come for a visit. You are welcome to drop by any day to say hello, but it is always better if you contact us in advance. You are welcome to come for a few hours preferably during the afternoons or on Sundays, between 17:00 - 19:30, when all the people of the community gather in our coffee shop, for a cup of coffee, cake and music. If you are interested in working or volunteering in Estia we suggest that you visit us for longer. As a visitor you will participate in the everyday life of the Estia, eating your meals with us, helping out in the houses and participating in the workshops. We suggest that you come for 3-7 days to get a real impression of life in Estia. If you are interested in visiting please contact us by mail or phone.